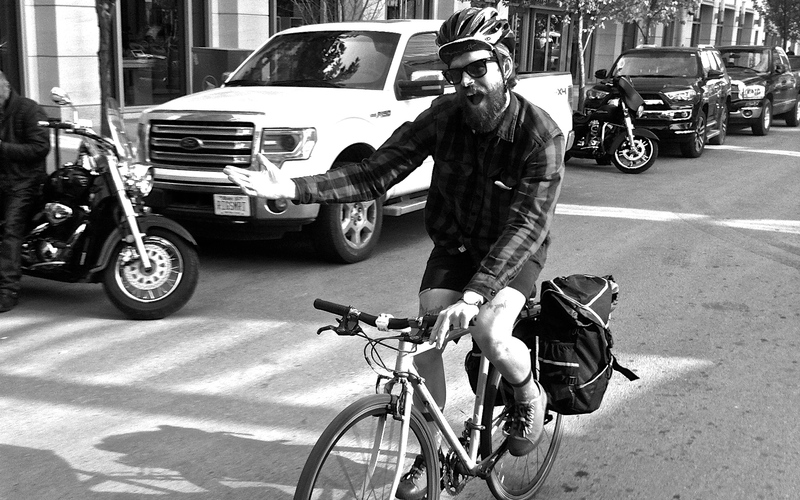 A fashionably moustachioed and sometimes bearded bike messenger on the mean streets of downtown Calgary, schlepping packages to support his aspirations of becoming a professional cyclist. At 26 years old he’s been racing bikes seriously for five years, Cat 2 Road and Elite Cyclocross for local club, Synergy Racing p/b SRI Importing. He’s also founder of Hot Sauce Cycling – selling custom designed Hot Sauce T-shirts and cycling caps for $20 a pop, and with each sale he gets another step closer to his dream of racing against the world’s best! I had the chance to catch up with Mark, to learn more about him, his swag-fuelled European dream and his take on what it’s like being a racer from Alberta. B/R: Where’d it all start – what was the moment you said, ‘yup, the bike is for me’? 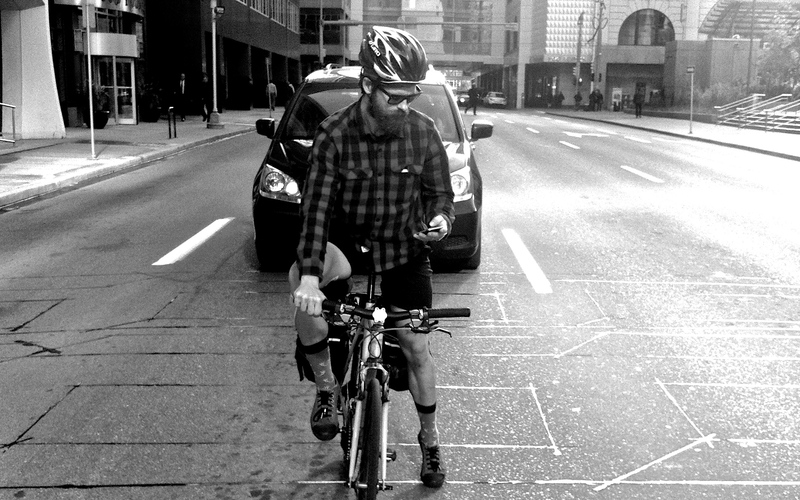 MM: I reluctantly let cycling pedal its way into my life in 2007, after blowing out my knee in my Cross Country days with the UofC Dinos in my first year of University. I hopped on the bike as a way to rebuild the atrophied muscles after a scope surgery on my right knee. Originally, I hated cycling – all I wanted to do was run again, but after the injury, I could never get back to consistent miles without my body breaking down. As my quads grew, the bike started to take precedence. After a year of juggling both running and riding, I decided to hang up my sneakers for good, and turned them in for a pair of SPDs instead. B/R: How’d you get started in racing – has it always been ‘all about Cross’, or have you played the field a bit? MM: After a couple years of riding, mostly commuting and doing my own ghetto trainer sessions on my parents 1980’s stationary static belt trainer – I started to get the itch to compete again. In 2009, I started training under the National Cycling Center (NCC) through the Olympic Oval in Calgary. I told them that in five years I wanted to be on the Canadian National Team – at the time I meant for road cycling. It’s funny that now, five years later, one of my biggest goals this year is to make the Canadian National Cyclocross team for Worlds in Tabor, CZE. Alas, it was through that program that I synced up with Synergy Racing, a local club whose primary focus is developing youth riders, but are open to all ages. I hit the road season that Spring in full force, thankful for the fitness I developed during my years of running, I upgraded from Cat 5 to the cusp of Cat 2 in my first Summer of racing bicycles – barring a few crashes that season (which are inevitable for most as they journey through the Cats), it probably would have happened. B/R: So, how & why Cross? MM: With summer’s Road season over: one carbon frame and two broken wheels later, I turned to race Cyclocross as it’s lure for more forgiving crashes and crossover from Cross Country running looked too enticing to pass up. B/R: What’s the race scene like here, at the Elite level? Is the calibre high enough in Alberta to bridge the gap to larger markets, like the U.S. and even Europe? MM: The race scene in Alberta is catered to mountain bikers before roadies, first and foremost. The course designs and limited park space often make for a very technical, less power orientated race. This is usually the opposite with US racing and even more so with European racing. There will be sections in Europe where a minute to two minutes of sustained big geared efforts are required, we just dont get that same style of racing over here which is why it’s so important to train for and venture to these bigger races if one is vying for a pro contract. The experience is incomparable to racing at home. But thankfully, there are some incredibly strong riders here in Alberta that keep me on my limits week in and week out — riders like Michael van den Ham and Dustin Andrews – both of them are capable of going top 5 at Nationals this year IMO. B/R: Can you tell us more about your bid to race in Europe? Where did the idea come from? What or who inspired you? MM: This is going to be my second time back racing in Europe. I hopped the pond in 2012 with Aaron Schooler – Elite ‘Crosser from Edmonton who made the move to Germany with his wife, Emily in 2012 and now races for the pro team Focus. Leading up to their move, Aaron and I spent a couple of seasons venturing to UCI cross races in the States, splitting the cost of travel, but he also showed me what it took to get him to the level he’s riding at now. I would say alot of the way I carry myself as a rider now was built from the lessons he tried to instil in me years ago – it was very much a ‘I’ll tell you now and you’ll hear me later’ kind of story. Realizing that if I want to turn pro, I have to start acting like one – has been the largest lesson I’m still continuing to learn. B/R: Glad you brought Schooler up. He’s been over there again this year, and racing a lot. You think he’ll come back to Canada for Nationals and be on another level – maybe beat Kabush? MM: I think going across the pond offers an invaluable experience of World Class racing. Guys like Schooler who have tossed themselves into the deep end of Elite Cross racing and living life with cycling as the primary focus will always beat the guys who are more loosely committed or staying in a ‘smaller pond’ of racing 9 times out of 10. Whether he’ll stick it to Kabush is another story. Kabush is still the King of Canadian Cross but I see a list of gents who are working away to try and dethrone him. Winnipeg will be an interesting and riveting battle to say the least. B/R: In a perfect world, once you’re over there, what happens then? What’s the dream that’s driving you? MM: I’m going over to become a student of the sport and soak up as much as I can from racing with the best. With four World Cups and multiple Superprestige races to attend, it’s going to be the first time since 2012 that I’ll be able to train and race full time without working as a courier and distracted with ‘real life’. Belgium represents my getaway, my someday, only this time, along with my wife, Aimee. I get to live life as a full-time cyclist for three months from December until March. Eventually I’d love to be in a position where I could sync up with a pro team and race over there for an entire season where travel, bikes, everything is basically taken care of by the team. But I’ve been lucky enough to have incredible support from guys like Rob Pryor of SRI Importing and Synergy Racing, as well as Dan Richter, owner of Cafe Roubaix, who is building me a few sets of his custom carbon wheels. Then there’s guys like Chris Webster from The Cyclepath Calgary who have encouraged and supported me from the start, all the way to Steve Smith of BioRacer who is taking care of the custom race kit with all the collaborating sponsors this year. I’ve basically tried to build my own support network here at home to try and springboard to Belgium. This is also where the idea of Hot Sauce Cycling came into action — selling t-shirts and cycling caps to raise funds for Europe. 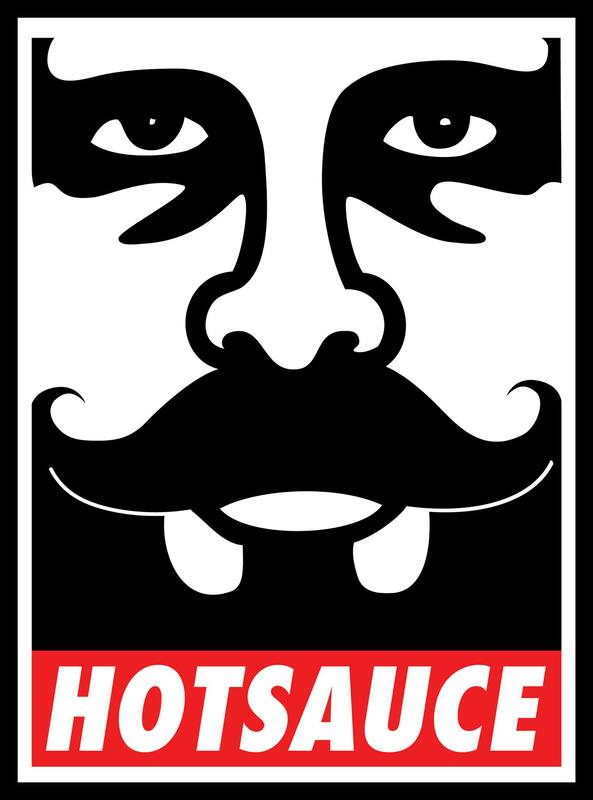 B/R: So why “Hotsauce”? What’s the story there? MM: “Hot Sauce” is my bike racer alter-ego. The nickname was given to me years ago, joking around with a few guys at The Cyclepath. It stuck and kind of took on a life of its own. This year instead of asking for a handout, I thought I could give something unique back to the community by printing shirts and caps with the custom logo we designed and selling them for $20 each as a way to fundraise for Europe. I ran the numbers last night, over the last six weeks, I’ve sold 220/250 t-shirts and 85/100 cycling caps. I’m pretty overwhelmed and humbled even by the support received from the community, even strangers literally buying the shirts off our backs at times. But that’s another story. If you’d like to buy a t-shirt or cap: check out ‘Hot Sauce Cycling‘ on Facebook and I can ship one to you. If you’d like to follow along with my European adventure, check out on Twitter @hotsaucecycling, @hotsaucecycling on Instagram or HotSauceCycling.wordpress.com for blog updates. At this point there aren’t many T-shirt and caps left, so if you want one, get in line. 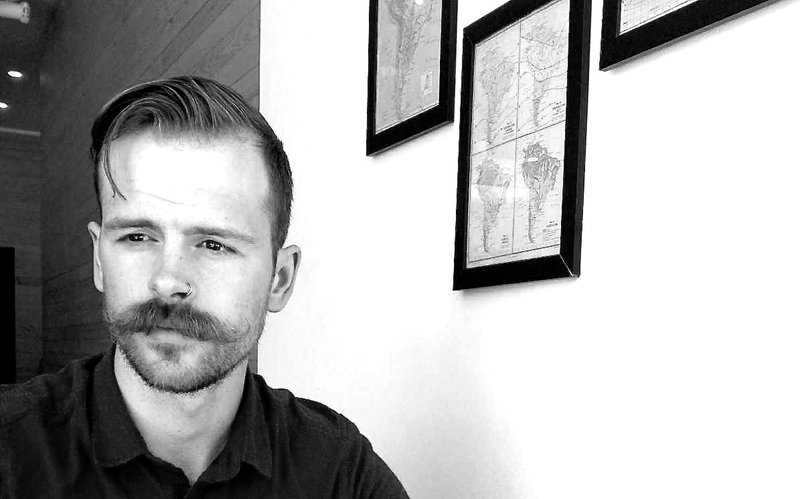 Mark’s dream seems to have gained the support of many from around Calgary and Edmonton. And why wouldn’t it? In my opinion, this is something we should get behind and cheer on – it’s not everyday an Alberta-boy gets the chance to give it a go overseas. In a way, by supporting Mark, we’re all sort of going along for the ride.